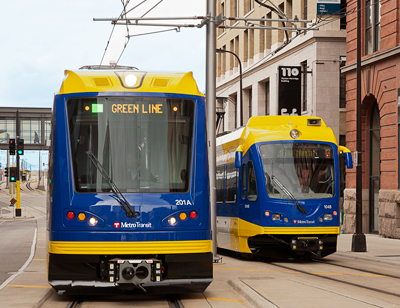 Traffic Data Inc assisted Kimley Horn and AECOM as a sub-consultant on the University Avenue/Green Line LRT project for Metro Transit. TDI collected turning movement counts at approximately 70 intersections and also collected speed data along the University Avenue corridor several times throughout the project. TDI has collected data on every LRT planning project in the Twin Cities since the Hiawatha line.